The astonishing untold history of America's first black millionaires--former slaves who endured incredible challenges to amass and maintain their wealth for a century, from the Jacksonian period to the Roaring Twenties--self-made entrepreneurs whose unknown success mirrored that of American business heroes such as Henry Ford, John D. Rockefeller, and Thomas Edison. While Oprah Winfrey, Jay-Z, Beyoncé, Michael Jordan, and Will Smith are among the estimated 35,000 black millionaires in the nation today, these famous celebrities were not the first blacks to reach the storied one percent. Between the years of 1830 and 1927, as the last generation of blacks born into slavery was reaching maturity, a small group of smart, tenacious, and daring men and women broke new ground to attain the highest levels of financial success. Mary Ellen Pleasant, who used her Gold Rush wealth to further the cause of abolitionist John Brown; Robert Reed Church, who became the largest landowner in Tennessee; Hannah Elias, the mistress of a New York City millionaire, who used the land her lover gave her to build an empire in Harlem; Orphan and self-taught chemist Annie Turnbo-Malone, who developed the first national brand of hair care products; Madam C. J Walker, Turnbo-Malone's employee who would earn the nickname America's "first female black millionaire;" Mississippi school teacher O. W. Gurley, who developed a piece of Tulsa, Oklahoma, into a "town" for wealthy black professionals and craftsmen" that would become known as "the Black Wall Street." 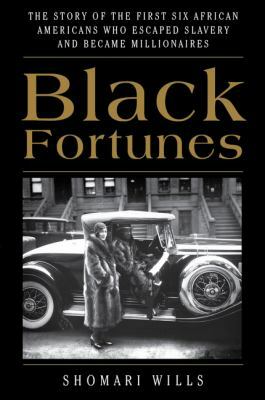 A fresh, little-known chapter in the nation's story--A blend of Hidden Figures, Titan, and The Tycoons--Black Fortunes illuminates the birth of the black business titan and the emergence of the black marketplace in America as never before.